Closeout! 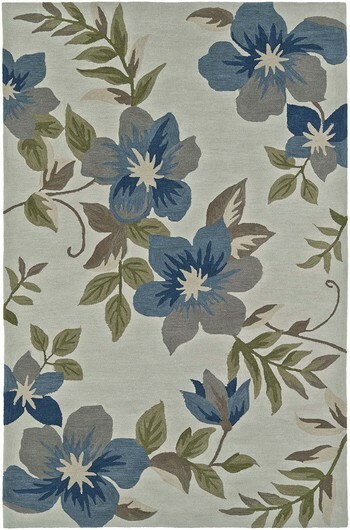 - The Dalyn Maui Collection features five large scale floral designs in a variety of colors, ranging from black and chocolate to taupe and shades of blue. The construction is 100% polyacrylic.